I just checked the Public Server Archive today and recognised we didn’t add any games of 2009 to our Hall of Fame. If you have any proposals please leave a comment or use the Voting Page. I hope we can make out the best games in 2009 soon. You will probably have seen, or participated, in the last Public server game, which was all about logic. I’ll try to explain it in a bit. After recent interests in self-regulating construction, there was an attempt to improve the usability of such designs. We have already seen self-regulating networks, where dummy trains transfer cargo onto ML trains, and recently self-regulating orders where vehicles could potentially go to all stations. What has not yet been done is to apply a form of regulation to point-to-point passenger games. just yesterday I’ve been browsing through the change logs of OpenTTD and stumbled over some remarkable changes Rubidium commited just then. The network code underwent heavy changes – and now a game may have up to 255 clients! (svn r14730) -Codechange: remove the need for networkclientsockets and networkclientinfo structs to be in a contiguous piece of memory and put them in a pool. -Note: 255 should really be enough for now… making it any more means network protocol bumps. (svn r14735) -Codechange: remove a bit of bit-waste in the map array (without changing the map array) and make the CompanyIDs contiguous. -Note: 15 should be enough for now… making it any more means adding more bytes to the map array and thus wasting more bits instead of reducing the bit waste. which allows now up to 15 companies instead of the usual eight 🙂 . 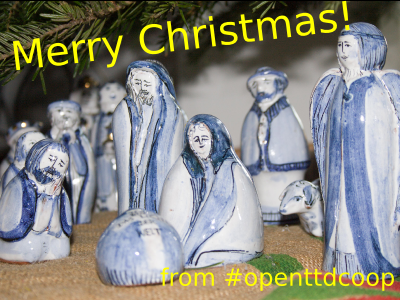 A big thanks from #openttdcoop to all devs of OpenTTD for the great work. 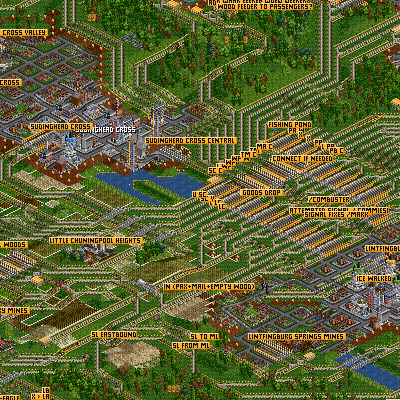 Public Server Game #100 requires OpenTTD 0.4.5, game start was 10.06.08 and the game ended yesterday.